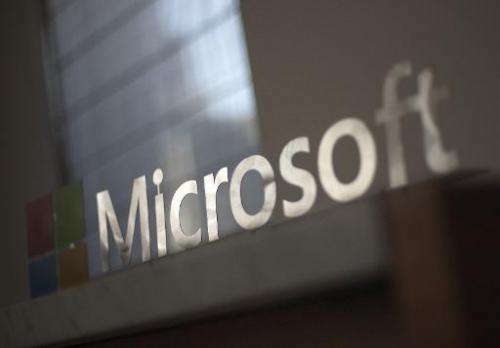 Microsoft on Tuesday said it is scrambling Outlook email messages in transit to thwart spying by governments or others. Toughened encryption at Outlook and Microsoft OneDrive online "cloud" data storage service came less than a month after the technology titan got low marks in a Google ranking of such defenses against online snooping. "We are in the midst of a comprehensive engineering effort to strengthen encryption across our networks and services," Microsoft vice president of trustworthy computing security Matt Thomlinson said in a blog post. "This effort also helps us reinforce that governments use appropriate legal processes, not technical brute force, if they want access to that data." US Internet firms are eager to fend off privacy concerns provoked by US online spying tactics exposed by former intelligence agency contractor Edward Snowden, who has taken refuge in Russia. Microsoft also announced the opening of a transparency center at its Redmond, Washington, headquarters where governments can check the integrity of its software. Google in June stepped up its effort to make it tougher for spies or anyone else to snoop on email, unveiling Chrome browser software for scrambling digital messages. In a move that put pressure other services, Google broke down how much message traffic received from them was encrypted.